Avril Z. Speaks is an accomplished independent filmmaker with credits as producer, writer, director, and editor. 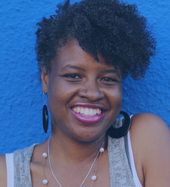 She was an Associate Producer on the TNT docu-series American Race, and was the lead producer on the feature film Jinn, which premiered in Narrative Competition at SXSW in 2018 and won Special Jury Recognition for Writing. Jinn continues to win awards at festivals around the country, and recently gained distribution through MGM/Orion Classics. Avril has directed two feature films and is currently producing several features, including Hosea and Mosswood Park. Avril is a Film Independent Producing Lab Fellow and was recently selected as one of the participants in the 2019 Rotterdam Producer’s Lab. She is a winner of the 2018 Movie Magic Producer Award, previously worked as a Production Manager for Scripted Programming at BET Networks and is committed to supporting women and filmmakers of color who tackle themes of family, community, social justice, and spirituality. Dan Rupple is CEO of Mastermedia, a Los Angeles-based organization that extends spiritual care and consulting to media industry leaders and also encourages the next generation of Christian media makers. In his ten years as a supervisor at CBS Television, he oversaw some of the most iconic shows in American television history, including The Price Is Right, The Late Show with David Letterman and The Prime Time Emmy Awards. Dan served as head of programming and development for five internet TV companies and has been featured on NBC Nightly News, CNN, FOX News, The Washington Post, and more. Dan began his career as a founding member of the pioneering Christian comedy team Isaac Air Freight. 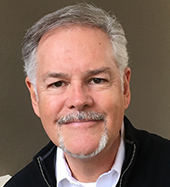 He is a graduate of Biola University and, as an ordained minister, has served in various capacities in Christian pastoral ministry for over 40 years. Dan has been married to the love of his life Peggy, for over 40 years, and together they celebrate three married children and seven grandkids. Peggy Rupple has always been invested in the nurturing of young storytellers. 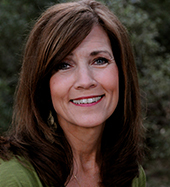 From her 9-year role as an adjunct instructor and global media conference director at Biola University’s School of Cinema and Media Arts to her current role as the Associate Director of the Windrider Forum at the Sundance Film Festival, Peggy is invested in shaping the craft and character of the next generation of media makers. She is a licensed minister, speaker, former board member with Greenhouse Arts and Media in Hollywood, and she serves Christians within the entertainment community as the co-producer of the Legacy Event at CBS Studios. Married to her husband Dan for 40 years, Peggy is a proud mom to three children and their treasured spouses, and utterly devoted to her seven remarkable grandchildren.